The mechanism of “Pull” processes—those triggered by an actual event instead of a forecast—is nothing new. 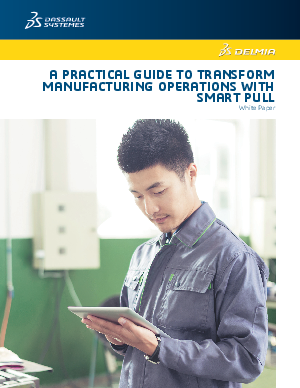 It is at the heart of many successful manufacturing strategies. Recent technological advances in digitization, including the harnessing of Big Data analytics, the use of the cloud, Business Process Management (BPM), social media, IIoT, and mobility, have extended the power of Pull beyond Lean manufacturing. In the wake of the current technological innovation wave, it is not uncommon for manufacturers to not know what next step to take. Explore the full potential of the new opportunities enabled by Smart Pull.